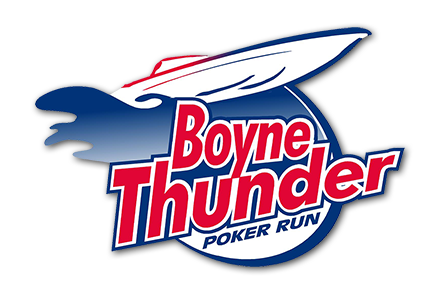 Speed, excitement and thunder are back in northern Michigan for the 16th annual Boyne Thunder Poker Run on July 12 and 13, 2019 in beautiful Boyne City. 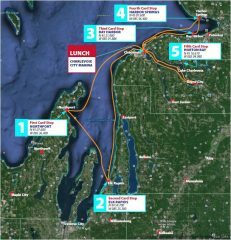 This unique boating event showcases high performance boats, slicing through the waters of Lake Charlevoix and Lake Michigan on a breathtaking 150-mile excursion. Boyne City Main Street is extremely proud to bring you Boyne Thunder! The Boyne City Main Street Program is a grassroots, volunteer-driven program dedicated to the historic preservation and economic development of Boyne City’s downtown. 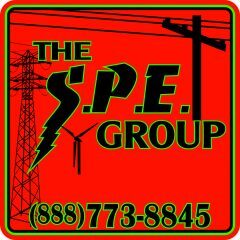 Our goal is to provide events such as Boyne Thunder, as well as other programs and projects that keep the historic integrity of our downtown, support programs that keep our community vibrant, and give visitors and citizens alike unforgettable experiences in the beautiful backdrop of northern Michigan. What makes Boyne Thunder special is its relationship with Camp Quality and Challenge Mountain, two extraordinary non-profit organizations that provide unforgettable experiences for their kids. Camp Quality is a free, year-round support program, including a summer camping experience, for children with cancer. Challenge Mountain is a non-profit organization dedicated to enriching and improving lives for the mentally and physically challenged through outdoor recreation. Since it began, Boyne Thunder has raised over $1 million for the beneficiaries and is an integral part of their success. Thousands of volunteer hours are devoted to bringing this event to life and speaks to the dedication and passion our community has for Boyne City Main Street, Camp Quality, Challenge Mountain, and the Boyne Thunder event. For more information about Boyne Thunder and Boyne City Main Street, contact mainstreet@boynecity.com. Call BOYNE Central Reservations at 855.888.1044 or visit Boyne Mountain’s website for lodging during Boyne Thunder 2019. 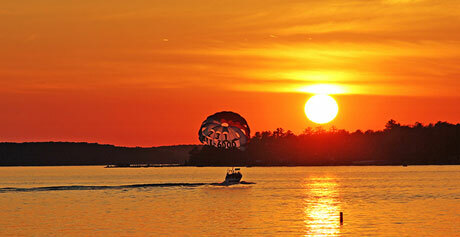 Come and discover Boyne City in beautiful northwest Michigan. Visit www.boynecity.com to learn more about our great community Located on the shores of Lake Charlevoix, Boyne City is a great place to live, work and play. Its historic downtown was recently listed on the National Register of Historic Places and the wonderful recreational opportunities for boating, skiing, hiking, biking, canoeing, and kayaking make Boyne City a great place anytime of year. Other great attractions are Boyne Mountain, the premier ski resort in the Upper Midwest, just a few miles away, the beautiful Boyne River, Avalanche Park, and a waterfront recreation area of more than 11 acres.